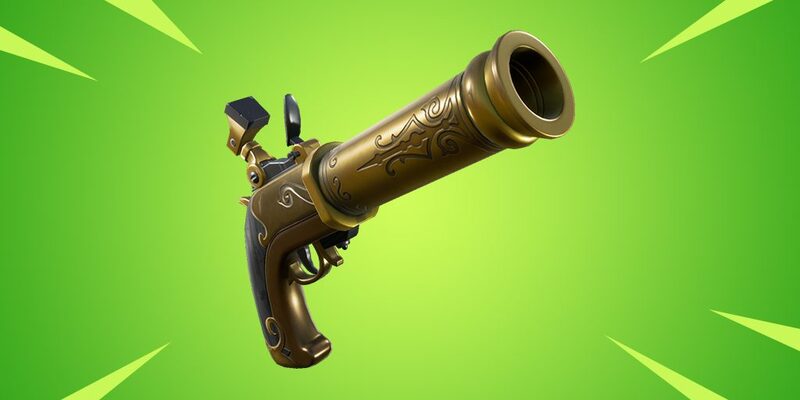 The in-game message of the day in Fortnite has been updated to announce that the recently-leaked Flintlock Pistol will be releasing soon! As of the March 18th Item Shop reset, the in-game message of the day shows that the Flintlock Pistol will be releasing in the near future, likely in the next update. The Flintlock Pistol was leaked after the v8.10 patch. It is expected to be a high-damage single-shot weapon, as per the leaked statistics. Be careful! It’s got a kick to it! Alongside the statistics, audio files and a reload animation for the weapon have been discovered in the files of the game. The Flintlock Pistol is expected to have the following statistics. It’s not yet known how other potential rarities may affect these stats. The teaser image shows that the weapon will be of the Uncommon Rarity, though it’s likely there will be a Common or Rare variant as well. What are your thoughts on the Flintlock Pistol? How do you expect it to affect the Fortnite meta?